Vision Data Equipment Corporation was incorporated in 1973 and entered full-time into the newspaper software business in 1976. 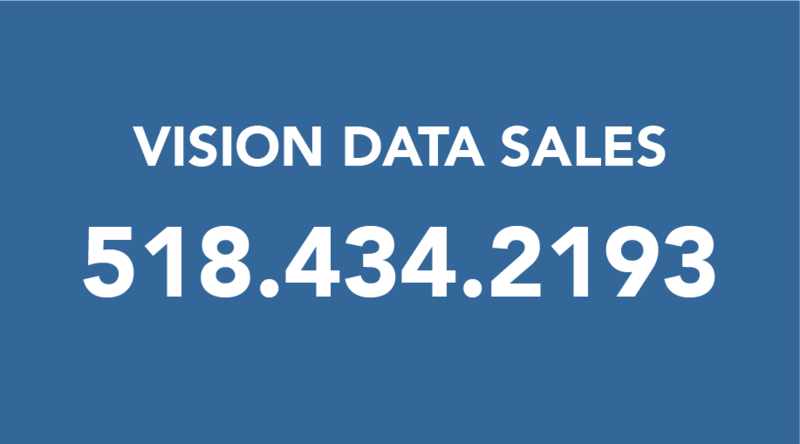 Vision Data has built its business based on Circulation, Display Ad Billing, Receivables, Classified, and General Accounting. We currently support over 1500 publications, ranging from small newspapers with one or two users, to large installations with hundreds of users. In 1997 Vision Data introduced Vision Total Advertising, the industry's first Integrated Classified and Display Ad Taking and Billing system utilizing a single database. A concept that drives Vision Data is that Circulation, Display Ad Billing, Classified Ad Sales, and all receivables should interact as a unified business process. With a solid reputation for stability, innovation, and customer service, Vision Data has progressed to a position as one of the leading vendors of front-end systems for today's publishers. Vision Data currently employs nearly 40 people, including engineers, analysts and support staff, providing custom modifications and constant updating to all our products. To become the publishing industry's leading supplier of feature-rich, reliable software applications by designing applications that employ time-saving programming tools and current professional program engineering rules and procedures. We will build reliability and customer loyalty through excellent ongoing support and application development with heavy emphasis on quality control, testing and training.